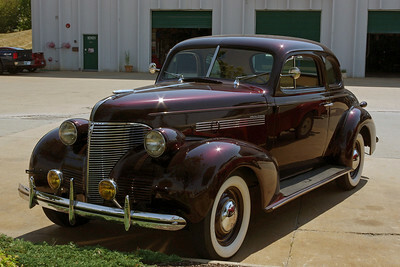 1939 Chevrolet Master Deluxe Business Coupe. 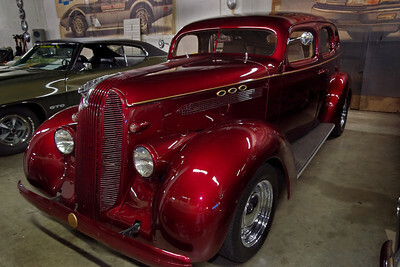 KC Classic Auto, an automobile restoration shop and museum in Lenexa, Kansas. 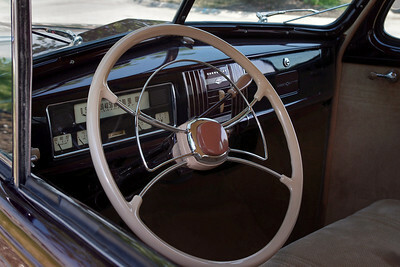 Dashboard, 1939 Chevrolet Master Deluxe Business Coupe. KC Classic Auto, Lenexa, Kansas. 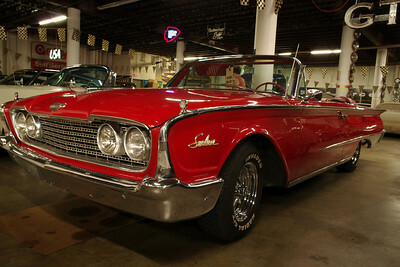 1960 Ford Sunliner convertible. KC Classic Auto, Lenexa, Kansas. 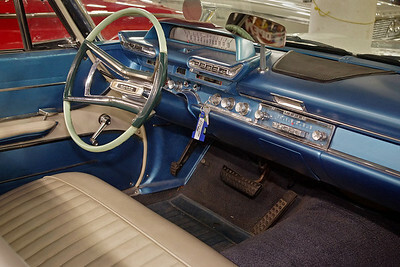 This 1961 Dodge convertable offers a roomy front seat and a technologically advanced dashboard console. KC Classic Auto, Lenexa, Kansas. 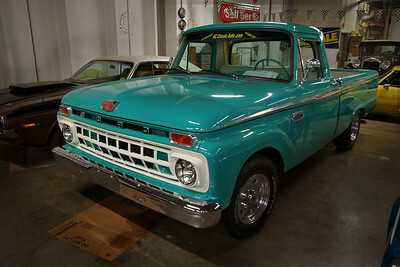 1965 Ford F-150 pickup. KC Classic Auto, Lenexa, Kansas. 1937 Pontiac Street Rod, KC Classic Auto, Lenexa, Kansas. 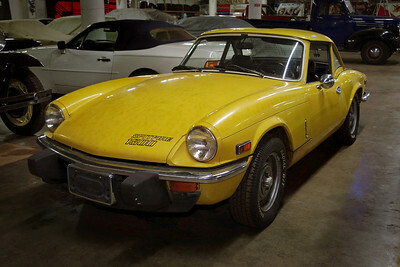 KC Classic Auto (in Lenexa, Kansas) seems to prefer Detroit muscle cars, but there are a few British imports in the collection - like this Triumph Spitfire 1500 hardtop, made between 1974 and 1980. 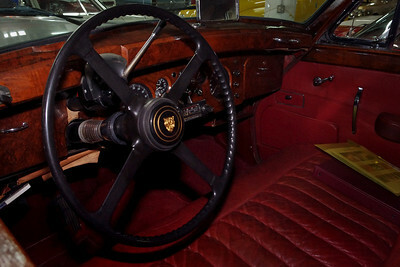 Wood dashboard, Jaguar, KC Classic, Lenexa, Kansas. 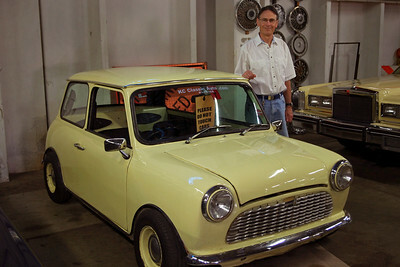 Gary towering over a 1981 Austin Mini. This particular car has been somewhat modified from the original, but it's essential smallness is still easy to see. KC Classic Auto, Lenexa, Kansas.